“Well on his way to becoming one of the world’s leading flutists” (Georgia Straight), Mark Takeshi McGregor‘s performances have been lauded by the press as “mind-blowing” (Victoria Times Colonist) and “verging on the superhuman” (Music in Victoria). 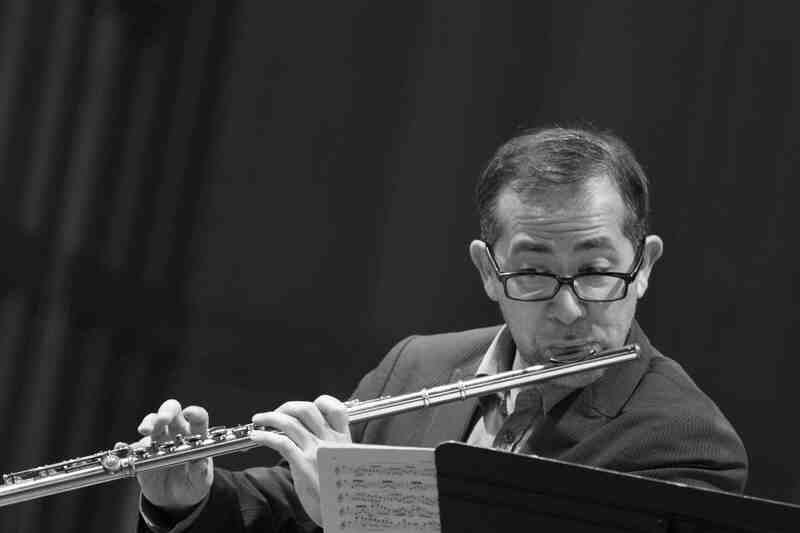 As a soloist, chamber musician and flutist of Canada’s Aventa Ensemble, he has performed in festivals and music series across North America, Europe, Australia, and Israel. McGregor’s professional highlights include the first North American performance of Stockhausen’s Ypsilon for solo flute, the premiere of Anna Höstman’s flute concerto, Trace the Gold Sun, with the Victoria Symphony, and concertos by James Beckwith Maxwell and Piotr Grella Mozejko with the Aventa Ensemble. His CD, Different Stones: Canadian Music for Multiple Flutes (2009, Redshift Records) was nominated in 2010 for a Western Canadian Music Award. In 2013 he released his second solo effort, Sins & Fantasies, featuring seven new works by as many Canadian composers, each inspired by one of the Seven Deadly Sins — an effort praised by WholeNote Magazine as “a brilliant conceit… an absolute tour de force any way you slice it.” Visit Mark online: www.marktakeshimcgregor.com.